Smooth and repair dry, damaged hair with this unique pure Coconut Oil formula from Palmers! 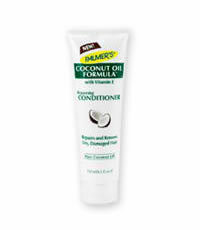 This natural conditioner strengthens and seals hairs’ cuticle, moisturizes and softens hair and add shines all day. This entry was posted in 1 and tagged Fr3b, Free giveaways, free samples, freebies, PALMER'S, PALMER'S COCONUT OIL FORMULA CONDITIONER, PALMER'S COCONUT OIL FORMULA SHAMPOO, samples, S’pores 1st Sampling Concept Store, singapore free beauty samples, singapore’s 1st online sampling platform, skincare, www.fr3b.com. Bookmark the permalink.